I’m a huge fan of all the new musicals, both West End and fringe, that have popped up in recent years, but you can’t beat a bit of classic Fred and Ginger once in a while. 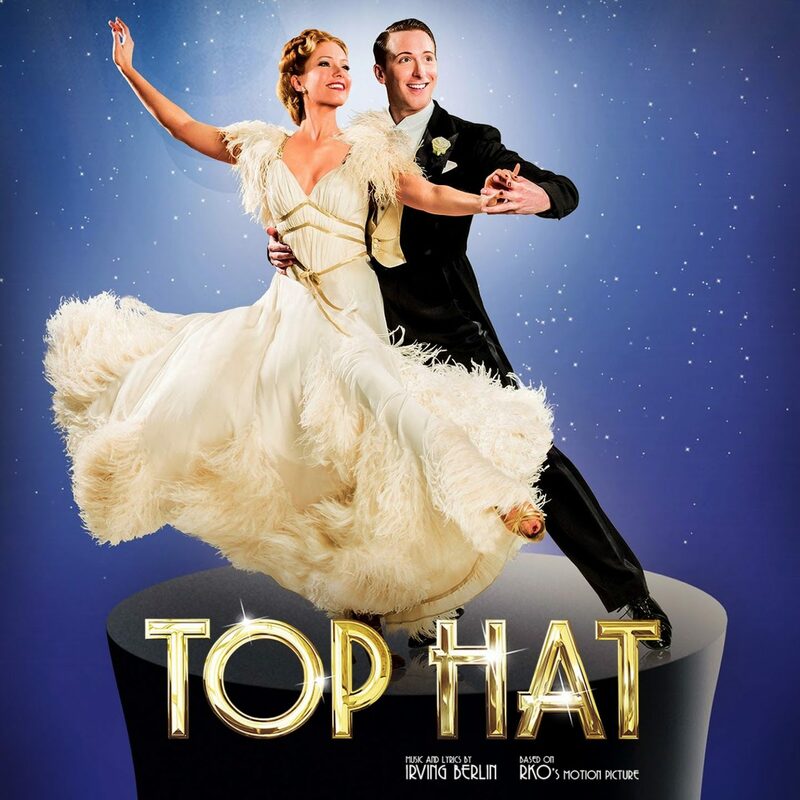 Top Hat, which is currently touring the UK, certainly quenched my thirst for classic thirties musical theatre with a stunning mix of good music, beautiful costumes and flawless choreography. The story follows Jerry Travers (Alan Burkitt) a talented American dancer whose successful show is brought over to England by Horace Hardwick (Clive Hayward). He meets the wealthy Dale Tremont and falls in love but when Horace’s wife comes into the picture a series of misunderstandings means the course of true love may never run smooth! I was immediately impressed by the complexity of the set. For a touring production you often expect a hit in this area, with limits on space both in the theatre and in the lorry! But I was surprised to see such a large and intricate set with moving parts and superbly decorated. It was almost at West End standards which was a delight to see. The cast just decorated the excellent set, filling the stage with class and sophistication in their performances. The standout performer has to be the lead man himself, Alan Burkitt. He truly embodied Fred Astaire – I couldn’t take my eyes off him. He had natural charm and energy in the role, and he made we want to go take a tap dancing lesson there and then. Immaculate footwork from the start, what a dancer! Next to him you have to mention Charlotte Gooch as Dale. Not only did she look gorgeous in every dress (and even jodhpurs) that she was dressed in but her dancing was a joy to watch. Personally I wasn’t totally taken by her singing but her dancing more than made up for that. Her backbends were so good I was questioning the health of her spine! Another cast member to watch was Sebastien Torkia (Alberto Beddini). Flamboyant and ridiculous in the most talented way, he did bring hilarity to the show. There was also a lot of laughter from John Conroy’s character of Bates, who tickled the audience with his smart responses and array of disguises! Rebecca Thornhill as Madge Hardwick showed her authority as a musical theatre superstar in my eyes although I was disappointed not to see her until as late as the second half. You cannot go and see this show without complimenting Jon Morrell’s costume design. So many different outfits in such a short space of time and they shone with elegance making you want to step right into the era. If you’re looking for a classy, graceful and classic night at the theatre I would highly recommend catching the Top Hat tour and transporting yourself back to the glorious Fred and Ginger era! You can find the remaining tour dates and buy tickets on the website. I have returned my ensemble feature to praise a certain member of the Top Hat ensemble that caught my eye for all the right reasons. One of the things that gets me the most when I’m at the theatre is when it is strikingly obvious to me that an ensemble member is ‘going through the motions’. 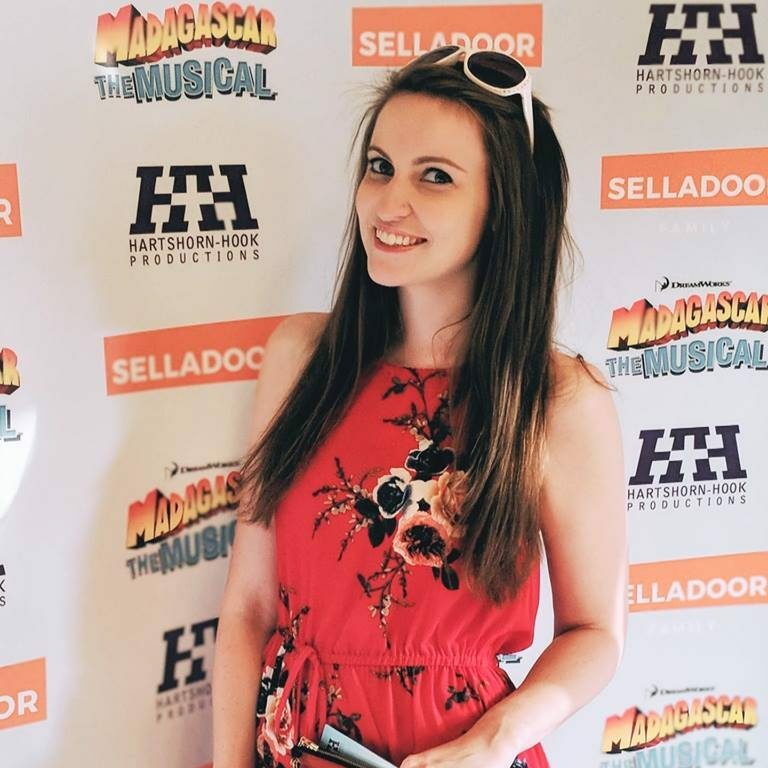 I understand it can be repetitive to perform the same show night after night but the best ensemble members realise each and every night that for the audience, this is their first viewing. For this reason I have to take my (top) hat off to Matthew Caputo who truly looked like he was having the time of his life on stage. I bounced off his enthusiasm and character which made watching him just so enjoyable!